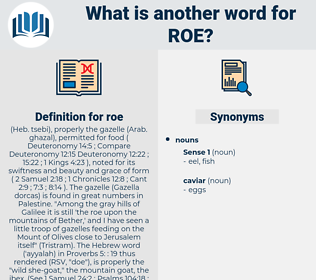 What is another word for roe? In 1624, Cyril Lucar, Patriarch of Constantinople, formally presented it to James I., through his ambassador, Sir Thomas Roe. Lake Roe having failed us, we turned on our tracks for the nearest point of Lake Lapage, some nine miles distant. 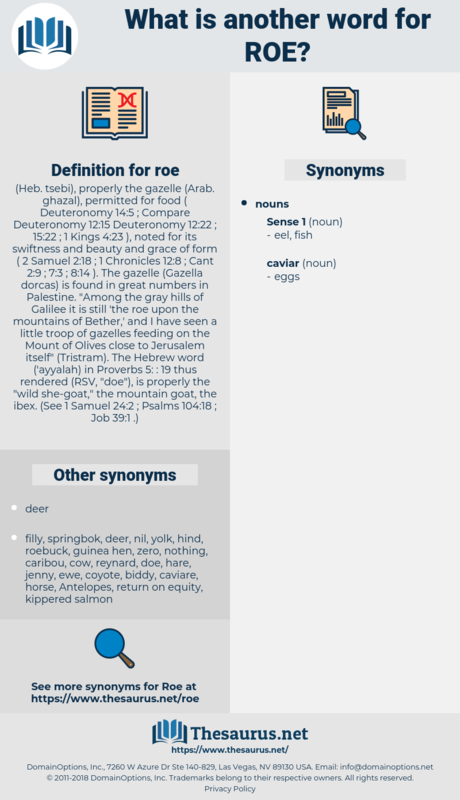 rewa-rewa, rower, rye, rya, roar, ruhr, ROH, rho, RIRA, rh, ra, raiu, wroe, rue, rare, roarer, R-2, roue, ri, Rowe, row, rear, ru 486, rehear, rariora, reaux, ray, ru, rhea, ro, Rheault, rahu, Roi, R, rewire, rohe, re, rio, raw.